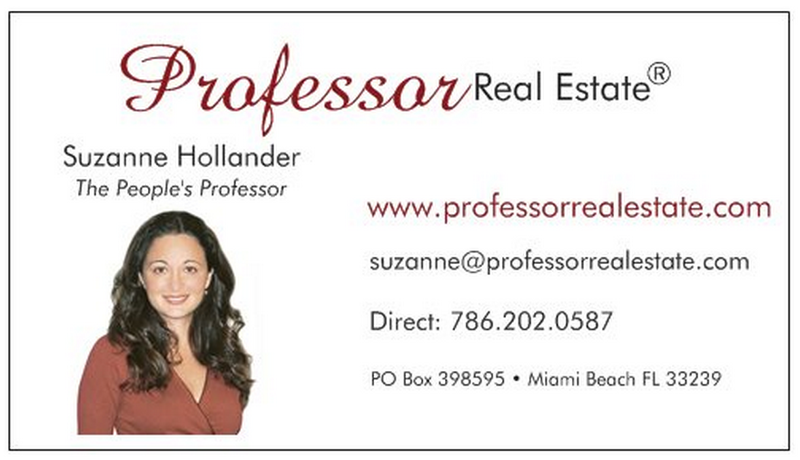 Real Estate & Housing touch millions nationally and Professor Real Estate® Suzanne Hollander empowers people to make smarter real estate decisions. For this reason Suzanne Hollander Won Commercial Real Estate Women New Member of the Year. Yup, Professor Real Estate® offers empowerment ’cause many of us got hurt in real estate! U can take control! Do it! Learn Something Real Estate! Tune into Professor Real Estate® to learn a lesson you can apply right now to real life. Lessons like – how to read your lease (yeah I know its long! ), how to get a mortgage (lowest rates in yrs! ), how to buy your 1st property – how to $ave on prop taxes – how to get your security deposit back– how/when to $martly sell your prop and – is a steal for real? Contact Professor Real Estate® to Learn Something Real Estate! For real estate education, real estate consulting and positive motivational seminars to get you and your team moving in the right direction! « Super Students Win $uper Scholarships! > Buying Real Property > News! Suzanne Hollander Wins Commercial Real Estate Women New Member of the Year!